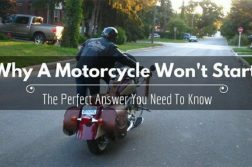 Are you looking for information on how to start a motorcycle club? Tired of all the old clubs in your neighborhood? Then you have come to the right place. 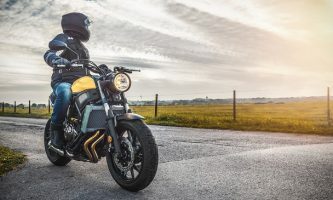 In this guide, you will learn all there is to know about motorcycle clubs, what they stand for, and how to start one. A riding club is a group of acquaintances and friends who like riding motorbikes. They get to together from time to time, to socialize and ride their bikes. These clubs may consist of owners of a particular brand of motorcycles. 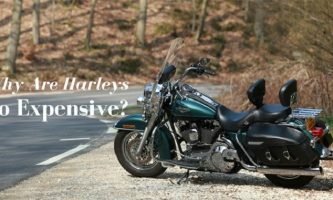 As such, there are Harley Davidson riding clubs, BMW riding clubs, Honda CB riding clubs, and the like. That said, most riding clubs are usually open to guests and members from other clubs. Further, the clubs have links between members who might not have the same brand of a motorbike. This means that you can find riding clubs comprised of law enforcement officers, military veterans, and so on. Learning how to start a motorcycle club of this kind is pretty easy. All you have to do is start meeting and riding with others who have the same inclinations and love of bikes. You can also establish chapter bylaws and elect officers – although this is entirely optional. This is the official type of motorcycle club. Otherwise denoted as an MC, it is also referred to as a 1%er club. Members usually wear club vests to identify themselves. The vests have 3-piece patches on the back, which is why an MC is also called a three piece patch MC. The top rocker (top part of the MC patch) has the name of the motorcycle club knit into it. The center contains the club’s logo while the bottom rocker contains the name of the locality, state, or city where the chapter is found. Learning how to start a motorcycle club of this kind is quite different from starting a regular riding club. The MC is typically protective of its location. Further, there should be a dominant club that reigns supreme over other MCs. There will also be a national organization to provide cooperation and communication links between the different MCs. This organization is referred to the Confederation of Clubs (COC). To start an actual MC, therefore, you need to get in touch with the most dominant local club or the COC. They will ask why you won’t join existing MCs. If you give a logical, understandable answer, they will allow you to start the club and provide you with the steps you would follow. However, if your answer isn’t found to be satisfactory, you won’t be allowed to start the new club. Do not, for any reason, fail to heed to this advice. 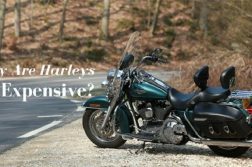 As mentioned above, learning how to start a motorcycle club will depend on whether you are looking to establish a riding club or an MC. In this guide, you will find steps for riding club formation. Remember, a club should offer something unique to its members. In the riding club you form, members should be able to meet, ride around, and have fun. 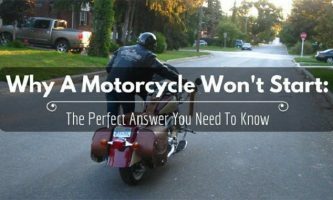 The first step is to research your local motorcycle community. There should be other clubs in the area – with some having a strong reputation. Others will have been in the business much longer than you anticipated. The chances are that you will end up competing with any local community you find. This means that you should set a mission statement that will set your riding club apart from the others. 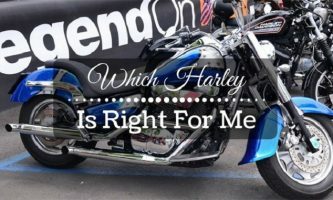 As you do this, think about the ideas and values you wish your motorcycle club to represent, the types of members you intend to target, and the organizations and causes your new club will support. After your research has delivered the answers you were looking for, you should establish the unique symbol that will represent your mission statement and form the badge for your club. 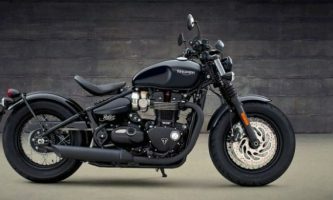 Needless to say, learning how to start a motorcycle club means that you should pick a symbol that is starkly different from any other motorcycle club. You certainly don’t want to be confronted for copying. As far as possible, ensure that you do not get into competition with any other motorcycle club in the area. Instead, you should get in touch with the dominant clubs and inform them about the initiatives of your own club. Be forthcoming and respectful while discussing your mission. Start forming the club by enrolling people you are familiar with. Ideally, members should be comprised of riders who share your passion for motorbikes. You can also enlist new members by organizing community meetings where you will educate the local riding community about the new club, its mission, and what it stands for. To get the word out, consider using word of mouth advertising, creating newsletters, and posting flyers. The officials will give your club structure. You can set up meetings at the home of one of the committee members or at any secure establishment everyone is comfortable visiting. Submit the proposal for registration with the relevant government authority. Then, apply for liability insurance, sales tax exemption, and a solicitation license. After you’ve successfully learned how to start a motorcycle club, it has been registered and is fully active, you should use it to do good. Organize fundraisers that will build up some financial resources for the club. Then, invest these funds into branding the club and any other essential activity you set out in your mission statement. 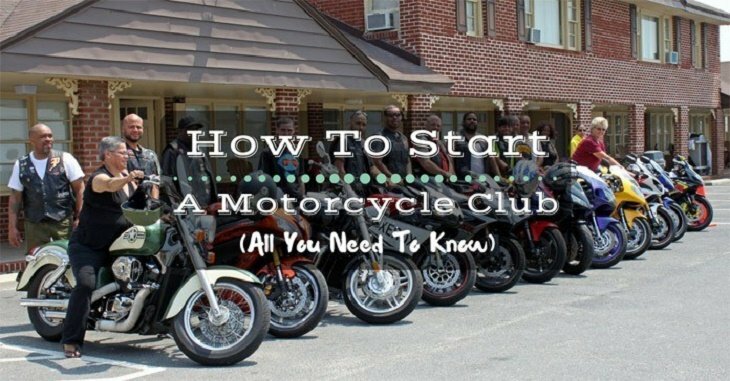 So, there you have it – a detailed guide on how to start a motorcycle club. 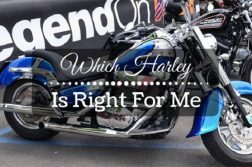 Follow the steps above to establish your own especially if there is no local club in your area or if the existing riding and motorcycle clubs do not reflect who you are, what you stand for, or how you intend to use your riding skills/talent/passion.